Learn to sign with your little one. This class is for you and your baby or toddler (birth to 36 months). The eight week program will meet on Fridays beginning January 19 from 11:00 to 11:45 AM. Pre-registration is required. The fee of $110 includes classes and materials to support your practice at home. Your registration must be received by January 12, to confirm a place in the class. Classes are subject to minimum and maximum class size. Early Bird Bonus! Register by December 21, to receive a free Signing Time Board Book. Toilet training doesn't have to be stressful. Sing, sign and dance your way through potty training . 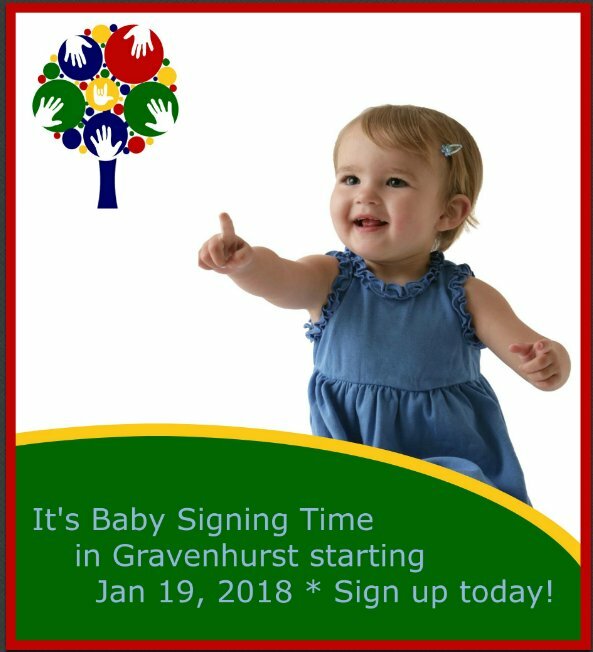 Whether you are a graduate of Baby Signing Time, you learned on your own or took another class, if you want to learn more and share good times with other signing families this class is for you and your toddler. This class is scheduled based on requests. Please contact me if you are interested.